and Flickr and You Tube. Limitless inspiration and information right at my fingertips- it boggles my tiny little brain. I made a baby quilt this week, a gift for a girl who goes to our church. Her little boy is due two weeks after Bayleigh's ETA. I knew I wanted something bright, but not too bright. 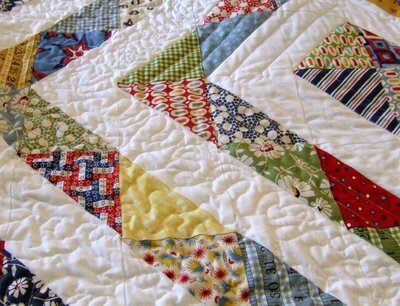 I started by searching flickr and google for charm square quilts- thinking a quilt made from charm squares would be fairly quick to put together. Boy, talk about inspiration overload! After much oohing and ahhing, I finally decided to give this one a try using these charm squares. I couldn't decide if I wanted to stop here or add a border. Adding a border won out. I made my quilt "sandwich" by taping the quilt back the floor, topping it with cotton batting then the quilt top and basted with safety pins. 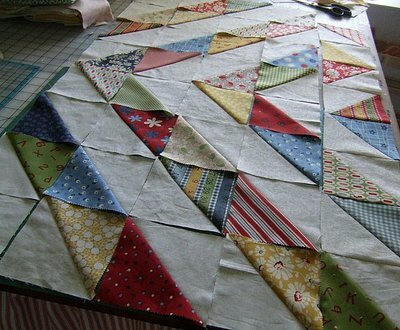 After quilting around the center square a couple of times, I noticed some shifting and was about to get some puckers- so I stopped and did some more internet research. 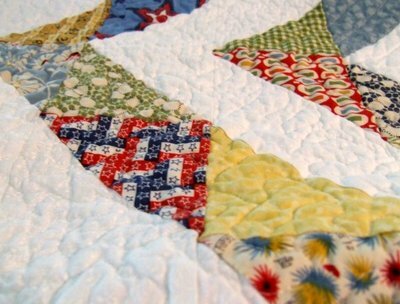 I found this video demonstration on how to hand baste a quilt. 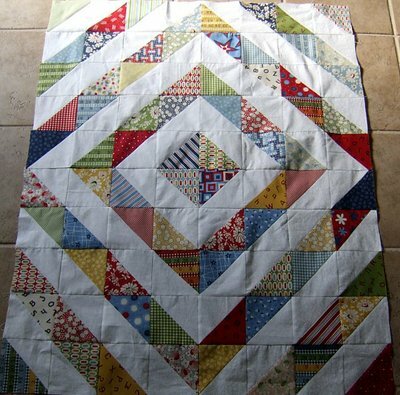 I had already done some of her don'ts, so I wasn't able to completely follow her instructions, but I was able to secure the layers much better with some hand basting and the quilting went much better from there. After a few more squares I felt like it was looking a little boring, so back to the computer for more guidance. 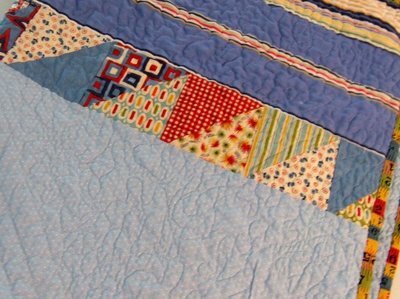 If you want an upper body work-out, try some free motion quilting. Wow, my arms are tired! I tried with and without quilting gloves, with is definitely much better for me. The binding was applied following this method, then it went into the washer and dryer to get all bumpy and wrinkled. The only time I get excited about wrinkles. 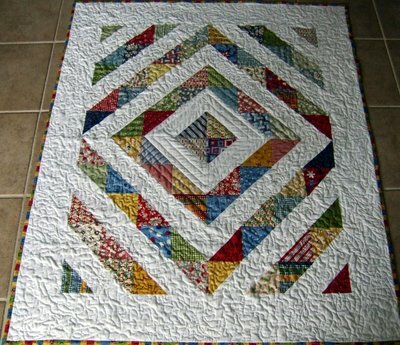 The finished quilt, thanks to the internet and some very talented ladies who generously share their knowledge and skills. I really love it, I think I may be making another one for me. 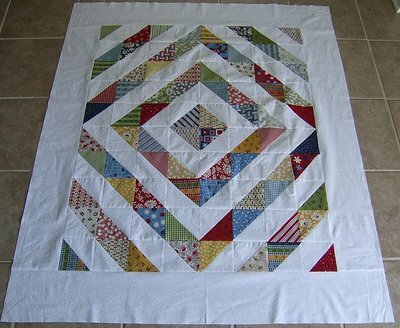 *Edited to add* A few have asked the finished size of the quilt- it's 41" x 48". There are a total of 80 squares- 8 across and 10 down with a six inch border on all sides.